Our P36C/P41C and P41D Positioners are designed for critical control applications. Valves with double-acting actuators and P36C/P41C/P41D positioners outperform all criteria of the dynamic valve performance specifications. 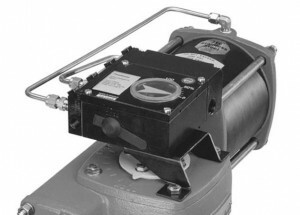 Valves equipped with DR rotary diaphragm actuators and P41D positioners provide exceptional accuracy and speed of response.